Over the last three decades, poor medical adherence has posed a serious challenge for the healthcare industry as it raises a risk to patient safety as well as leads to elevated healthcare costs. To deal with the issue, the healthcare industry continually makes serious efforts to improve the use of medication through the development of unique drug delivery systems as well as packaging to ensure the right dose is taken by the patient at the right time. In the United States specifically, it has been reported that around 50% of prescribed medications are taken incorrectly by patients and in a study conducted by IMS Health, it was reported that costs amounting to more than US$ 200 Bn are incurred in the U.S. healthcare system, due to medicines not being taken by patients responsibly. This scenario has created a demand for pharmaceutical products that have accurately measured doses and provide ease of use and level of comfort to patients. 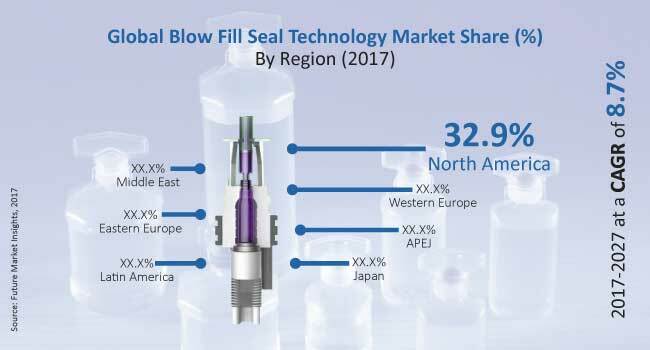 Blow fill seal technology has been extensively employed by pharmaceutical companies in North America for the manufacturing of unit dose packaging solutions as a solution to improve patient adherence to prescribed drug regimes. Moreover, packaging of medication in a single dose through blow fill seal technology ensures better drug accuracy and reduction in the contamination of drugs, due to the protective packaging. Medication non-adherence is a substantial risk to patient wellbeing — the resulting consequences generate significant waste in healthcare, and cost even more in terms of poor patient outcomes. The expectation of better health outcome in real-world use is leading pharmaceutical companies to focus on key formulation, form and packaging tactics to deliver safer and more effective drugs to patients around the world. Manufacturers have to deal with increased pressure to maintain cutting-edge standard manufacturing facilities and also to employ the most skilled workforce. But they are also faced with a challenge to reduce the cost of the final product. Moreover, government cost reduction strategies are generally focussed on generic drugs. Blow fill seal technology costs include labour, resins, straight line depreciation and maintenance, due to which pharmaceutical product manufacturers are reluctant to incorporate this technology in their manufacturing lines. Balance between cost and quality is a major challenge for the pharmaceutical packaging industry. Moreover, the pharmaceutical industry in North America is being impacted by the increasing cost of research and development and by the slow development of new drugs.